As the third-generation owner of a drinks distributor and director of the biggest business group of wholesale liquor retailers in Japan, not to mention the International Wine Challenge’s sake chair, Kenichi Ohashi MW is an expert on all things fermented and brewed. We ask him about sake’s domestic diversification and how education will help communicate its heritage to the masses. How great was the influence of family in determining your career path into the drinks industry? Since I was 2-3 years old, I was told that I would inherit my father’s company, a liquor distribution company, so my family's influence on my career was almost 100%. I was once interested in being an archaeologist who would excavate ancient sites, or a zoologist who would study the ecology of animals from places like Africa, but I never truly considered having a career outside the drinks industry. Tell us about the diversification you have witnessed in Japan’s domestic sake industry. Has increasing international interest played a role? When I got into the industry, there existed standardised sake labelling and a classification system which was aimed at collecting liquor tax. According to the classification, it was easy for consumers to believe that Premium sake is better than First class sake and the same First class sake is better than Second class sake. But this classification was later abolished. Moreover, at that time the concepts of Junmai and Ginjo were not considered as important as they are today. It is clear that the sake industry has changed drastically over the past 20 years. Sake has begun to boom gradually worldwide, but only exports 2% of its whole production, so I don’t think it is the international interest that has been the main influencer on diversification. I believe the diversification came from the generation change within sake breweries and all the efforts that sake brewers have made in order to increase domestic demand. However, the Japanese are sensitive to foreign markets, so international demand will likely have a bigger influence in the future. 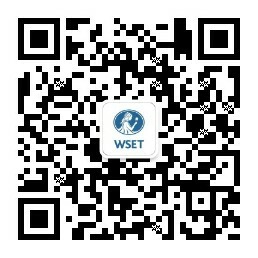 Education is expected to improve the industry as a whole, thus further spreading the message of harmony, ‘Wa’ of sake. To what would you attribute the rise in sake’s popularity around the world? The diffusion of Japanese cuisine, ‘Washoku’, which is designated as an UNESCO Intangible Cultural Heritage, has actually played a leading role and led to a rise in the number of Japanese restaurants in the world’s largest cities. Thus, it can be assumed that consumers went to these Japanese restaurants and were intrigued by this kind of delicious alcoholic beverage, sake. As sake consumption gains momentum globally, how important are industry influencers like yourself in spreading the word? To be honest, I am aware that many people around the world have expectations of me to spread the message of sake. It is due to the position in which I am placed rather than my ability - that I am a Master of Wine from Japan, the birthplace of sake. Probably for many people around the world, it is easier to explain sake in a worldwide common language such as wine. When the market becomes more mature, I hope to have the opportunity to present sake from the unique viewpoint of the Japanese, a viewpoint that has developed throughout the history of Japan. As a sake educator, what role does education play in growing the category internationally? Education makes it possible to deeply develop appreciation for sake. From the multi-dimensional perspective of education, it is possible to make consumers aware of all the interesting aspects of sake and even encourage them to take up sake tasting as a hobby. In this sense, education plays a very important role. Also, let’s not forget the career opportunities for educators who can profit from teaching about sake. As a result, education is expected to improve the industry as a whole, thus further spreading the message of harmony, ‘Wa’ of sake. What makes the Japanese drinks industry unique and what advice would you offer to exporters looking to sell to the Japanese market? What makes the Japanese market unique is that it has been developed only by Japanese people throughout its history. Even when I started my career after graduating from school, many Japanese people had rarely had communication with foreigners. I believe that such an environment led to the formation of this unique market. I think it is important for exporters to know what strengths their products will have within the Japanese market, and vice versa. In other words, knowing the Japanese market well is necessary for implementing marketing in Japan. If you would like to learn more about sake, explore WSET's Level 1 Award in Sake and Level 3 Award in Sake qualifications.